Abstract: Work is integral to human functioning. The joy of working is maximized when people make choices based on intrinsic motivation and develop themselves to their full potential. This article reports the conceptual model, development, and validation of the Multidimensional Career Decision-Making Battery, popularly called the Mindler Battery, a measure of career specialty choice for Indian students. The Mindler Battery was constructed using a career choice model based on five broad dimensions, namely: orientation style, interest, aptitude, personality, and socio-emotional intelligence. The rationale and description for each dimension was developed as a result of thorough item construction and analysis. Standardized norms and reliability and validity estimates were prepared to interpret the dimensions of the Mindler Battery. Implications for use of the battery in career decision-making, career counseling, and career research are discussed. Abstract: This study investigated the effect of a career reading program on career maturity and intrinsic work value of 5th grade elementary school students in Korea. The study classified 5th graders into experimental (28 students) and control (29 students) groups. Students in the experimental group completed a total of 10 sessions of a career reading program. Control group students received no intervention. The career development inventory and the work value test were administered to all students of the two groups before and after the intervention as the pre-test and post-test. The experimental group showed improvement in post career maturity including general career maturity and the sub-factors of self-awareness and career planning. Further, the experimental group showed improvement in post intrinsic work value including the sub-factors of service, theory, self-expression, and independence. This study concluded that the career reading program had significant effects on improvement of career maturity and intrinsic work value for elementary school students. Implications and recommendations for future research are discussed. Abstract: This aimed to explore Japanese specific cultural themes in participants’ career construction narratives. The researchers conducted Career Construction Interviews with six career consultants in Japan. Five themes were identified through their stories: conformity to norms, awareness of one’s role, expressed emotions, family relationships, and selfhood. It was found that participants were too well adapted to the Japanese social system and that reframing the meaning of ‘adjustment’ is needed - rather than taking on new methods to change behaviors. Abstract: Young people in government care systems are marginalized and vulnerable in many ways, and thus, they possess distinct career development needs and experiences. In this systematic literature review, we explore the career development experiences of children and youth in care and their experiences following emancipation from care into independent living. Our review reveals distinct personal, relational, educational, and occupational career development experiences which pose significant challenges for emerging adults in this population. Our review also yields several key recommendations for career development practice, including strategies for working with adolescents in care and strategies for working with emerging adult clients who were formerly in care. Abstract: Shifts in the global economy and advances in technology are driving change in the career landscape, affecting workers globally. Global trends indicate under-engagement in postsecondary education and under-commitment to investments in human capital; the practice of career development is ripe for change. 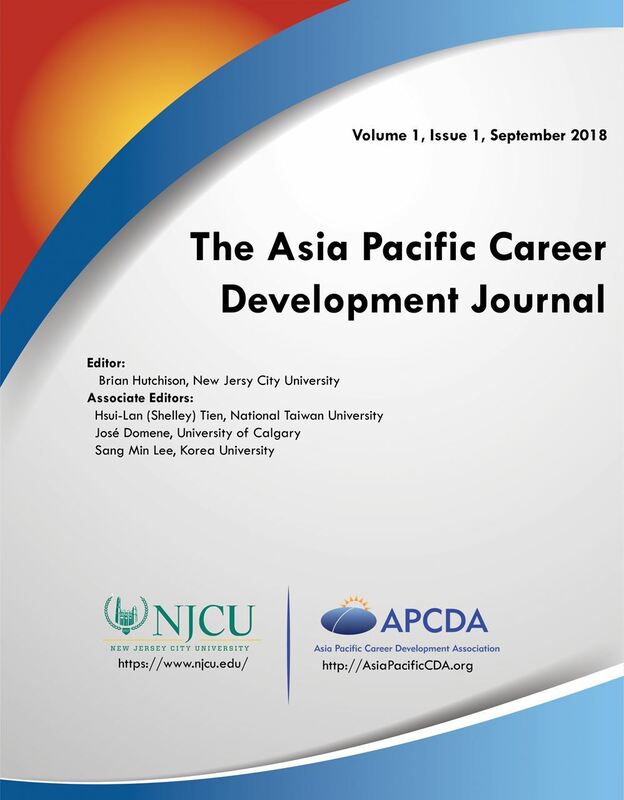 By exploring the future of careers globally and present career development in the Asia Pacific region, this article highlights ways career professionals can co-create career possibilities with clients to drive self-supporting habits over a lifetime of transitions. Career professionals must assist their clients in identifying and maximizing their own potential to meet both existing needs and to anticipate skill gaps. The authors encourage the adoption of the HEROIC mindset model as defined by Rich Feller. By leveraging their own psychological capital, clients will be able to embrace curiosity, intentional exploration, hope, confidence, resilience, optimism, and clarity to effectively adapt to a lifetime of career transitions.